Note: Must be logged in as an academic customer to view pricing. Pro Tools redefined the music, film, and TV industry, providing everything you need to compose, record, edit, and mix audio. And now with Pro Tools 12 for Education, which sets the stage for Avid Cloud Collaboration and the upcoming Avid Marketplace, students and educators can access the industry standard in more affordable ways than ever. Create with a low-cost subscription or own the software outright (perpetual license). This full boxed copy of Pro Tools 12 for Education includes an annual Avid upgrade plan, which provides all future Pro Tools software upgrades for one full year—including the upcoming Cloud Collaboration and Avid Marketplace features—plus, access to professional Avid support around the clock. After one year, simply renew your plan annually to stay current. Designed for both students and teachers, Pro Tools 12 for Education provides the best and most critical head start to a successful career, as it’s the audio industry standard. Get all of the same tools, features, and workflows of Pro Tools software at incredible savings. To activate this software, you must be a current student or teacher and will be asked to verify your eligibility after purchasing. You will receive a serial number to use your software—upon approval—after submitting proof of education eligibility to Avid. See if you qualify here. See more of what's new under the Details Tab. You now have even more choices in how you acquire and use Pro Tools. Make Pro Tools available across your entire facility or university with new network site licensing. Get the performance and sound quality you need with a Pro Tools system. Purchase and own Pro Tools software for creative mobility. Get the lowest cost of entry with a subscription. 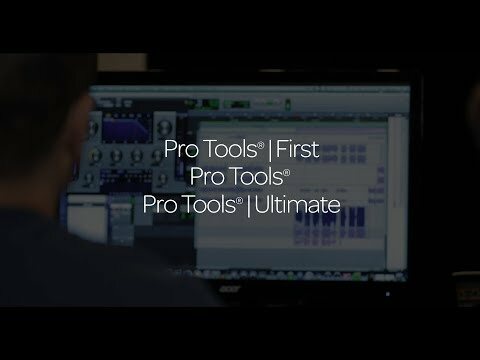 Or get started with Pro Tools | First, a free version of Pro Tools. And now that Pro Tools supports iLok Cloud licensing, you no longer need a physical iLok to use the software. How can you make your mixes really stand out? Having professional-quality sound processors at your disposal helps. That’s why Pro Tools comes packed with over 60 amazing virtual instruments, effects, and sound processing plug-ins, so you can sound your best. Plus, get access to 17 additional bonus plug-ins when you subscribe or buy now. We strive to make Pro Tools the best creative tool you could ever want. That's why we offer a steady stream of new features and improvements released throughout the year to all Pro Tools users with an Avid upgrade plan, included with all new perpetual license purchases, upgrades, and subscriptions. See all features under the Details Tab. You can now quickly search for inputs, outputs, sends, inserts, and side chains. Simply open any of these menus and click the “Search…” item, press Tab, or just begin typing. You can also use the search function to recall Track Presets from inserts or sends. Pressing Enter/Return will accept the chosen item in the search and close the window. Alternatively, once you find a search result for an output or send, you can press the Tab key to accept the result without closing the window. This will allow you add another assignment. Escape will cancel any changes made. Deleting the tags will remove assignments. Assignments can be made to multiple tracks if the menu is entered while holding the “do to all” or “do to selected” track modifiers. NOTE: These are not yet available as EUCON commands. “Relative Grid” edit mode, which has been available for drag and drop editing, has been extended to cut, copy, paste, and merge. Clips and MIDI notes that don’t start exactly on the grid, can now be cut or copied, and then pasted (including paste special > merge) with their timing relative to the nearest grid intact. Right-click on any Master fader to designate it as a EUCON Main Monitor Controller. This will allow the monitor knob on EUCON surfaces to control the volume, Dim (S6 only) and Cut states. Only one track may be designated in a session at a given time. The transport no longer needs to be stopped to change scroll modes. ​Moves the entire current Edit selection to the right by the duration of the selection. ​Maintains the current Edit selection start time but reduced its duration by half. Maintains the current Edit selection start time and doubles its duration. Edit Duplicates the Edit selection (including all track data in the selection), keeps the selection start, and extends the selection to the end of the duplicate. Moves the Edit selection up one track. If more than one track is included in the current Edit selection, those tracks are removed from the selection and the selection is only on the one track. Moves the Edit selection down one track. If more than one track is included in the current Edit selection, those tracks are removed from the selection and the selection is only on the one track. ​Extends the Edit selection up one track. Removes the top track from the Edit selection. ​Removes the bottom track from the Edit selection. Retrospective MIDI lets you punch MIDI in and out in any recording mode and is available whenever punching happens on a MIDI track. During playback, if the Default Thru Instrument is set to Follows First Selected MIDI Track (Setup > Preferences > MIDI), matching MIDI data is buffered for the first selected MIDI track. Likewise, matching MIDI data is buffered for each record-enabled MIDI (or Instrument) track. So, when applying Retrospective MIDI Record, MIDI data is recalled from each track buffer on a track-by-track basis. Previously (in PT 10 and PT 11) we forced software monitoring to be disabled when LLM was activated only for record/input enabled tracks that were assigned to physical outputs 1-2. Now this limitation has been removed and software monitoring will be disabled for every record/input enabled track. This improved implementation allows users to take advantage of their monitoring hardware without having to modify their session routing. We have extended our support for the Sony P2 9-pin protocol and can now support up to 112 tracks for the following actions. Pro Tools 12.8.3 is fully qualified for use with macOS 10.13.2 (High Sierra). Users who are running macOS 10.13.1 should update to 10.13.2 before installing Pro Tools 12.8.3 due to installer problems. Users who are running OS X 10.10 (Yosemite) should upgrade their OS before updating to Pro Tools 12.8.2 or 12.8.3 due to Graphical artifacts in Pro Tools 12.8.2 on Mac OS 10.10 Yosemite. Pro Tools 12.8.3 is the last release that will support Windows 7; releases after 12.8.3 will not be tested on Windows 7, and any new bugs that are Windows 7-specific will not be fixed. Please upgrade to Windows 10 before updating to Pro Tools versions past 12.8.3. Pro Tools 12.5 added support for Windows 10. For additional system requirements, click here. Joe Albano on Ask.Audio has put together an informative primer on using Automation in Pro Tools. This is an excellent workflow tutorial from Pro Tools Expert. 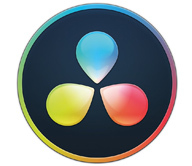 It explains how to sync your sound in FCPX with Pro Tools using Lock Step, a free download. These Drum Tutorials start out with creating digital beats in Propellerhead Reason and then we'll showcase a few tutorials about mixing live drums.